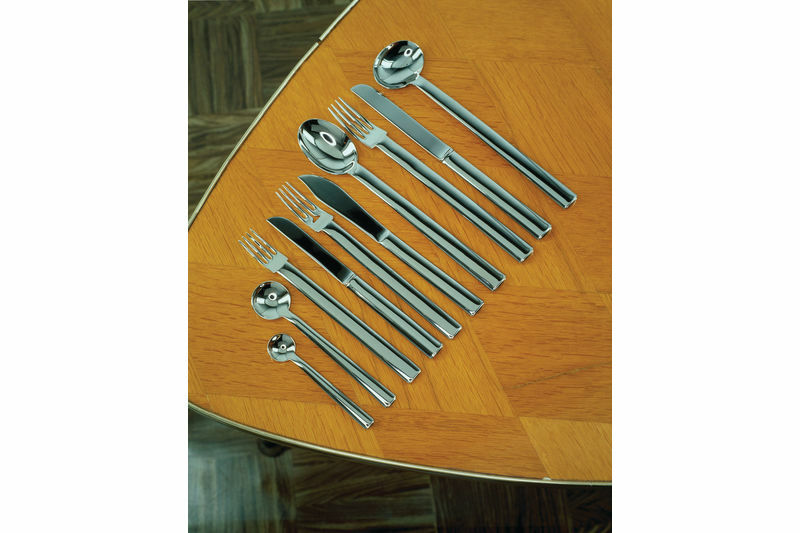 Designed by Josef Hoffmann in 1906, the Rundes Modell cutlery fully respected the design guidelines of the Wiener Werkstätte, of which the designer was one of the founders: functionality and practicality together with the refined processing of the materials. 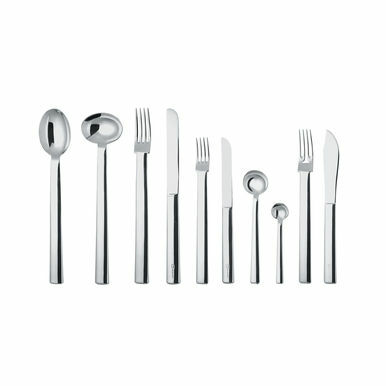 In 2000 Alessi reissued a version of this historic service in 18/10 stainless steel. 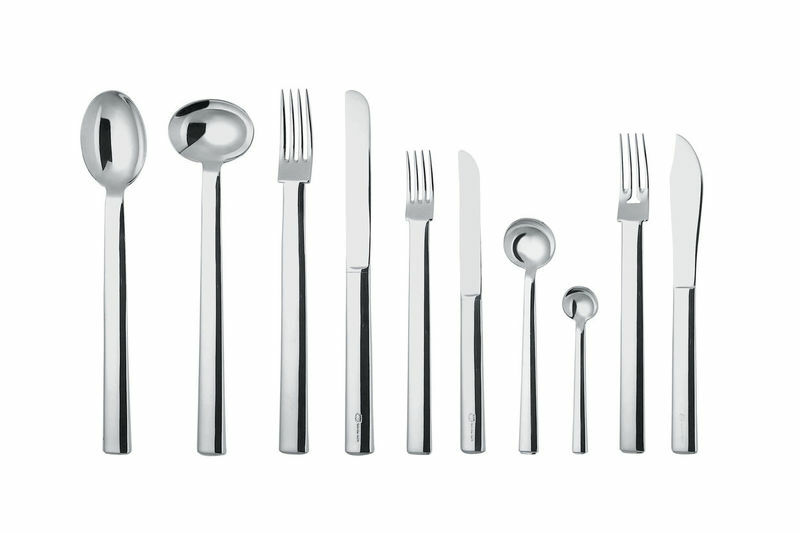 In 2015 Alessi unveils a new version with a reduced assortment compared with the original service. Included are 10 pieces. The place setting spoon comes in two versions: the original one with the side-on bowl, and the version with the bowl coaxial to the handle.